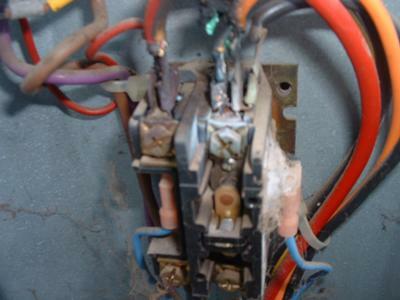 I also found out the transformer in the furnace was bad, not put out 24 volts. Could that have been the source? I replaced both and they seem to work fine right now. "Relays burn like that because something happened. You may need a new Unit." I've seen many units where someone decided to rewire it for some reason, and used a lower amperage wire, which will burn out. (common) the wires come loose thru years of vibrating, and that'll cause the wires to burn out. same for the compressor, but because it's a sealed system, that should be less likely than the fan motor. Relays burn like that because something happened. You may need a new Unit.